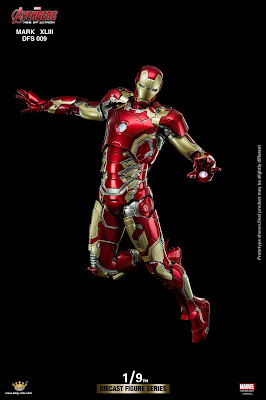 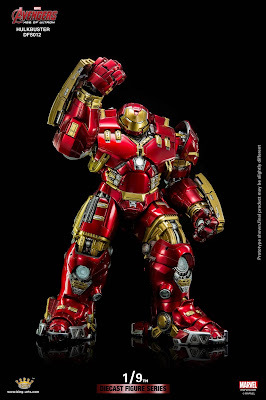 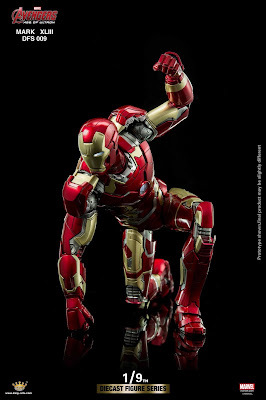 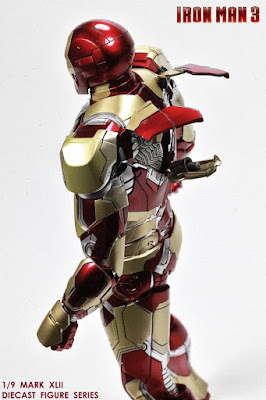 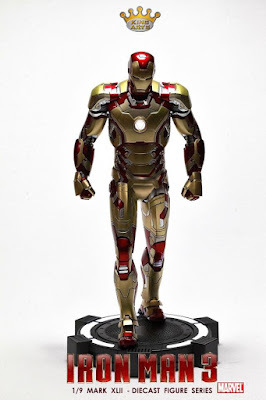 The next releases from King Arts include the popular Avengers 2: Age of Ultron Hulkbuster and the Mark XLIII! 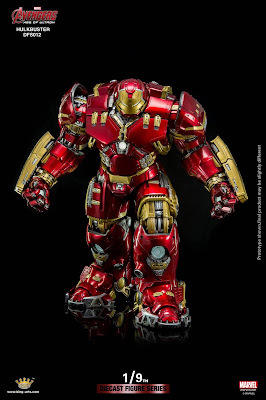 The Mark 43 will measure approximately 9 inches tall while the Hulkbuster armor measures over 16 inches tall. 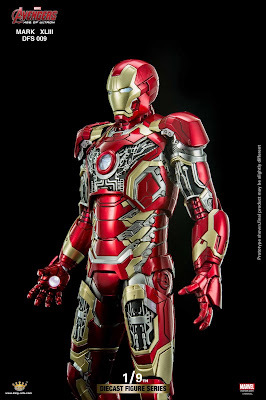 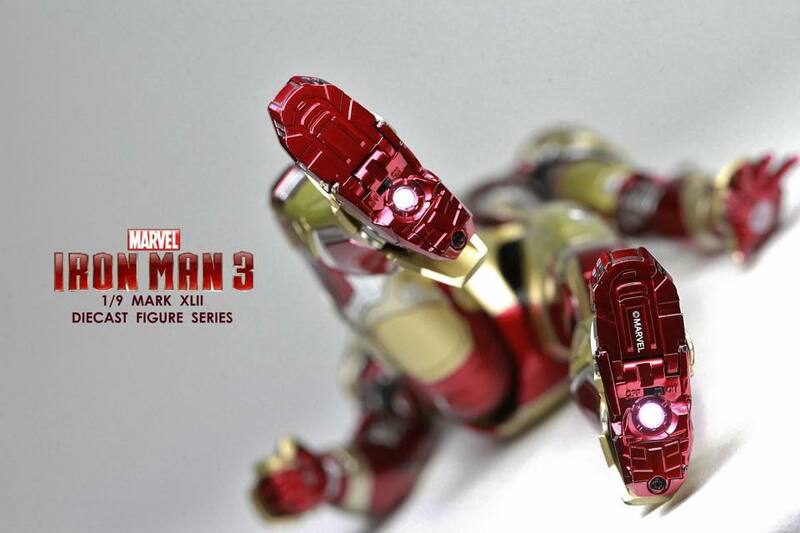 Similarly to the Mark 42, Mark 43 comes with die-cast construction and light up features. 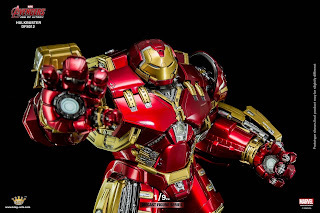 Hulkbuster comes with 16 LEDs which cover the eyes, chest, hands, and feet. 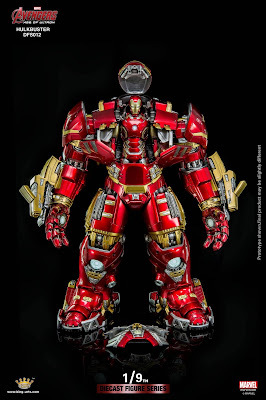 In addition to this, the Mark 43 fits into the Hulkbuster Armor!